Ini berikutan penurunan harga pasaran minyak dunia yang jatuh dibawah 50 Usd setong secara mendadak. Akibat impak yang sedemikian segala projek yang dirancang terpaksa dibekukansekali gus syarikat besar ini tidak berpeluang untuk memberikan perkhidmatan kepada pelanggannya . Rusuhan di Libya dan Iraq dan sekatan antarabangsa di Rusia juga memberikan kesan kepada operasi Schlumberger juga melakukan strategi penyusunan semula melibatkan kos sebanyak $ 800 juta Usd bagi projek mendapatkan data ke atas minyak dan gas di bawah tanah yang sangat diperlukan oleh syarikat-syarikat cari gali . 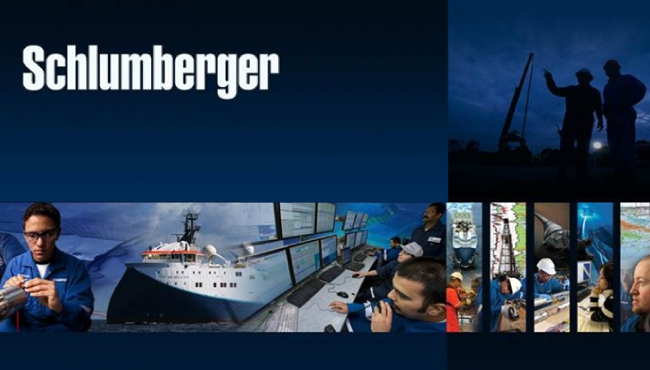 Oil Service Leader Schlumberger Cuts 9,000 Jobs - It Just Got Real. Schlumberger Ltd. (SLB), the world’s biggest oilfield-services company, tackled the “uncertain environment” of plummeting crude prices head-on by cutting about 9,000 jobs and reducing costs. Anticipating lower spending by customers this year, Schlumberger is decreasing its workforce by 7.1 percent and seeking to lower operating costs at a unit that helps producers find oil and natural gas, the Houston- and Paris-based company said in an earnings report Thursday. Coping with oil prices near 5 1/2-year lows, energy producers are expected to cut spending in the U.S. by as much as 35 percent in 2015, according to Cowen & Co. The number of rigs drilling on U.S. land could fall by as much as 750 this year, Wells Fargo & Co . said in a Jan. 14 note, reducing the total by more than 40 percent. Schlumberger sees an opportunity to increase its market share after two rivals, Baker Hughes Inc. and Halliburton Co., agreed to merge last year in a $34.6 billion deal. Chief Executive Officer Paal Kibsgaard told investors on a Friday conference call the company would pursue “other opportunities we have on our list” if the drop in commodity prices makes bigger acquisitions more attractive. The stock, which has 35 buy and nine hold recommendations from analysts, gained 6.1 percent to $81.33 at the close in New York , the biggest increase in six months. The company cut planned spending this year to about $3 billion while boosting its quarterly dividend 25 percent. The company, which had doubled its workforce in the past 10 years, took a $1.77 billion one-time charge associated with the job cuts and restructuring of its seismic unit as well as the devaluation of Venezuela ’s currency and a lower value for production assets it owns in Texas . Net income for the fourth quarter dropped to $302 million, or 23 cents a share, from $1.66 billion, or $1.26, a year earlier. Shares in oilfield-services companies, which help customers find and produce oil and natural gas, were the first to fall as crude prices declined. Service companies in the Standard & Poor’s Index dropped 20 percent in the fourth quarter, more than the 18 percent decline for producers. Exploration and production spending globally is expected to drop 17 percent to $571 billion, Jim Crandell, an analyst at Cowen, wrote in a Jan. 7 research note. Schlumberger has the smallest exposure to North America compared with peers, generating a dollar of sales in the region for every $3 globally. With oil prices failing to stabilize, some producers are waiting to announce plans for 2015, making first-quarter earnings estimates for Schlumberger “still a bit of a guess,” said Stephen Gengaro, an analyst at Sterne Agee & Leach Inc. in New York who rates the company a buy and doesn’t own the shares. Less than half of the 150 oil and gas companies it monitors have reported spending plans for the year, Norman MacDonald, a portfolio manager for Invesco Ltd., said in an interview. MacDonald, who manages the $990 million Invesco Energy Fund, said he’s never seen this many companies wait so long to announce their budgets. Excluding one-time items, Schlumberger earned $1.50 a share in the fourth quarter, beating the average of 34 analysts’ estimates compiled by Bloomberg. Sales fell short of estimates.